When I get asked for recommendations on where to go in Northern Spain, my very first answer tends to be San Sebastian. It's a city that really has something for everyone; great shopping, some of the best pinxtos, a gorgeous stretch of beach, and plenty of history to be explored. 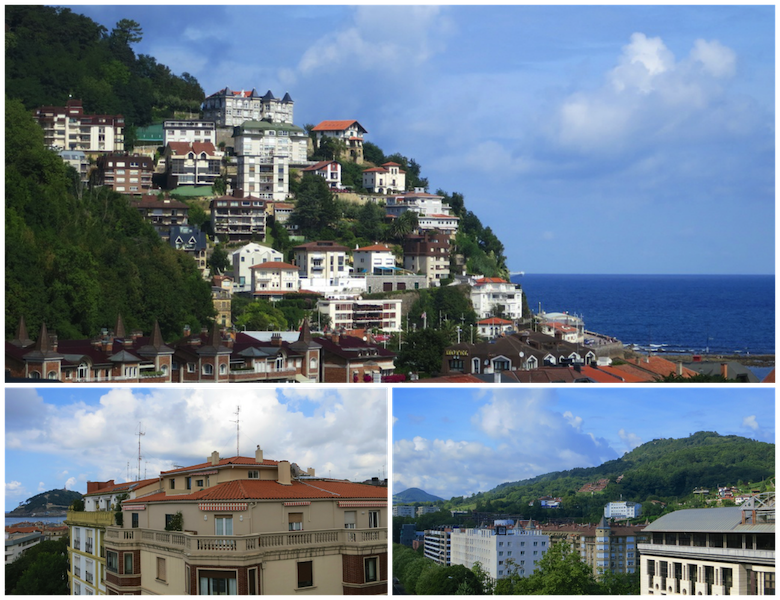 While looking for lodging options in San Sebastian, we found a number of great self-cater apartments available for rent and lots of very upscale hotels. The apartments were only available on a weekly basis and the most of the hotels were just out of our price range. We ended up finding a good middle ground in Hotel Codina - a very nice hotel with an in-room refrigerator. Located a gorgeous (and romantic) 30 minute walk from Parte Vieja, the main core of the city, Hotel Codina was a great fit for our 4 days exploring the city. After reading reviews online we requested a top floor room with a balcony when we booked and boy were we glad we did. We had amazing views of the Bay of La Concha, Santa Clara Island, and the hills around the city. The room itself was small, at least by American standards, but there was plenty of room for bags and to spread out our mobile snack kitchen. That in-room refrigerator came in super handy, we ended up making all of our meals in our room to save our pennies. A little refrigerator is really all you need to make great salads, sandwiches, and breakfasts of yogurt and granola. Since this was our first stop in Spain we had oodles of questions and the gentleman working the front desk was always very helpful. From bus schedules, to parking, and more - the staff at Hotel Codina were very helpful. The hotel does have a breakfast buffet that my husband checked out - there was gluten free bread out there in the buffet along with eggs and ham dishes. To me, yogurt and granola just sounded better. On the first floor a small bar and cafe makes great espresso that you can bring up to your room to sip on your balcony. If you find yourself headed to San Sebastian, I'd very much recommend Hotel Codina - just make sure you request one of those top floor balcony rooms for the best experience. Like I mentioned above, it is a bit of a walk into the main part of town, but it's a gorgeous one. You'll find yourself walking either along the beach or on the terribly romantic lighted promenade.